CARLSBAD — In celebration of its 10th anniversary season, the Carlsbad MusicFestival is presenting the Village Walk, a free community celebration of music from 5 to 10 p.m. June 21, kicking off at Magee Park, 258 Beech Ave. 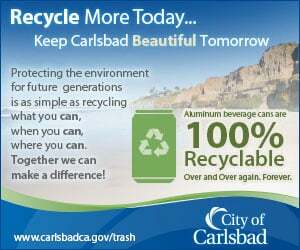 It will then continue at assorted locations throughout the Village of Carlsbad. This event will feature 44 performances by 30 acts between and embodies the Carlsbad Music Festival’s spirit of “adventurous music by the beach” while creating a community event for both audience members and musicians. — Jory Herman, a San Diego Symphony bassist playing works from his new album of solo Bach. — Center for World Music musicians including Peter Wanjira (Kenyan drumming and dance), Son de San Diego (Southern Mexican folkloric music), and Giri Nata (Balinese Gamelan). Village Arts with DJ Lexicon Devil. The Coaster will be running an extended schedule and the last train will be at 10:30 p.m.